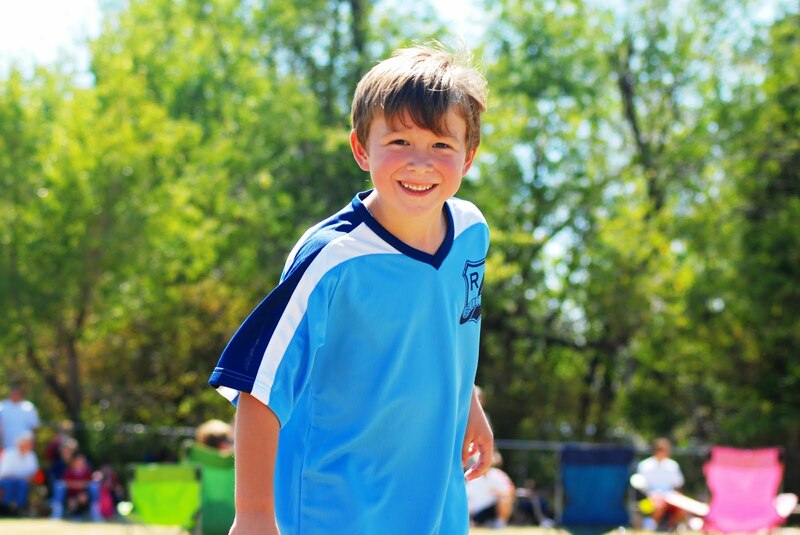 My son, Sully, yesterday at his first soccer game. Generation Z and terrorism. It’s three generations and counting. When I was a little girl my older brother Billy, who was probably 10 or 11 at the time, told me not to worry about getting bombed. He said if the Russians launched a nuclear attack we had detonators that would dissolve the disaster before it reached the American shore. This always brought me a sense of relief. I grew up hearing my father talk about the Great Depression, World War II and exposure to bomb tests. He was an atomic veteran, and today, lives with the severe health effects of service to his country The consequence of Operation Ivy was Pick’s Disease, Alzheimer’s. I miss him every day. I live in Oklahoma City. In 1995, I was working at a large military base five miles from the Murrah building. During those days it used to bother me when people called Timothy McVeigh a terrorist. He looked nothing like the terrorists I’d grown up hearing about. In 1983, the Islamic Jihad bombed the U.S. Embassy and U.S. Marine Barracks in Beirut. There was the assassination of Ghandi in 1984, the Achille Lauro in 1985 and Pan Am Flight 103 in 1988. If you look up terrorist incidents on Wikipedia, 1900-1969, fewer than 20 entries are listed. But, every other year thereafter gets its own page. Generation X grew up with terrorism. In fact, a majority of us were born with it. Sometimes, when I drive passed the Oklahoma City National Memorial, just three blocks from my office in downtown Oklahoma City, I have to remind myself that I live in a city that was once bombed. It’s not that I ever forget. People I knew died. It’s just that sometimes, I still can’t believe it happened. Here. The quote I published at the beginning of this post is from the movie Fight Club. It was originally a book, published in 1996. I’m guessing it was written prior to the Oklahoma City bombing. It was later optioned for a feature film, which came out in 1999. That was two years before the September 11, attack on the World Trade Center. The generation Tyler Durden is referring to is Generation X.
I used to think this quote was pretty profound, but I don’t think it’s accurate anymore. Generation X has endured a long and unpredictable war. The same is true for Generation Y, and it will probably be true for Generation Z. Although we have escaped the ravages of Normandy, all that blood spilling into the salty sea, and the 10,000-day war that was Vietnam, all those bloated bodies in the river, Saigon, we live with this dread. The war on terror never ends. There will be no D-Day, no Iwo Jima, or so it seems. 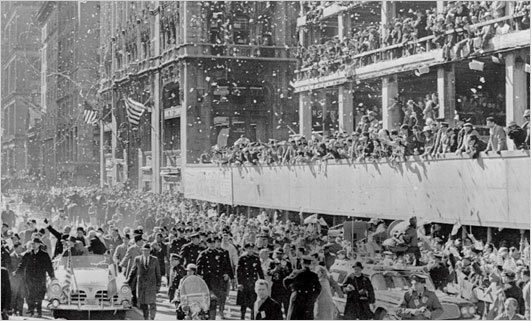 No ticker tape parade. Robert and I will never make love on a rooftop during air raids on the Warsaw Ghetto. Generations X, Y and Z are not optioned for the tragic romance of war or victory battles. When I saw Generation Y dancing in the streets when Osama bin Laden was killed I felt happy for them. They were celebrating the end of war. I wanted it to be true, but like every other Xer I knew it wasn’t. For us, his death represented vengeance not victory. There will always be another terrorist waiting in the wings to blow up night clubs and double-decker buses; hijack airplanes and mail anthrax. And, after 30 years of this stuff, we know the terrorist can be Islamic Jihad, but he can also look like us and live in Kansas. What are we to do? I asked myself this question all week as I prepared to observe the 10-year anniversary of 9/11. I thought of covering the front yard in flags or tying ribbons around our big tree, but I didn’t. I thought the best thing I could do was just live my life as if the day were a gift. I get up and take the kids to church. As we walk in, Bridgette pulls her dress up to her arm pits and says, “I hate this dress.” She scowls at me. I remind her that I get to pick what she wears on Sundays. Sully is mad, too. I won’t allow him to wear graphic tees to church. I breathe in the incense; stare at the icons, pray. I listen to the message, stare at everyone around me, wonder if the chandelier above our heads will ever crash to the floor. I’m glad it hangs over the aisle and not the pews. Tragedy is so random, and if it isn’t, why can’t we just disappear when our times is up? Why does the avenue by which we exit ever have to be horrifying? I’ve never gotten over reading Lord of the Flies, Brave New World. After church, we come home and get ready for Sully’s soccer game. He throws a fit, he cries. His first practice left him feeling like a loser. He asks me why I signed him up for soccer instead of ice hockey. I told you I wanted to play hockey. He says soccer is stupid. He says he hates soccer and then he says he hates me. I force him, I force everyone to go to the soccer game. Everyone is miserable. We get lost on the way. But, I keep thinking about those people who died on September 11. I think we are so lucky to be so disenchanted on a hot September day. Misery is our luxury. The bomb was not detonated before it reached our shores. Sully is awkward on the soccer field. It’s his first game and even though he is fast and strong, he is insecure. His coach knows this and relies on him. He calls his name three dozen times. Cheers him. He says he’s a great kicker. Sully is all smiles, in the game. Engaged. Happy. We pile in the jeep and head toward home. I tell everyone not to remind Sully that he didn’t want to go to the game. Sully says the game was fun. Soccer is fun. We eat lunch at Boulevard Cafeteria. Their apple dumplings are to die for. The staff asks Sully if he’s a soccer player. He says yes. It seems brazen for all of us to go through business as usual with no more remembrance than we have had for those who died on 9/11. But, I make peace with our lack of sadness. It doesn’t mean we’re arrogant. In this one family, descended from the Irish, the Cherokee, the Achumawi, we represent a broad American demographic: Generations X, Y and Z. Terror has been and will continue to be our great war. At the end of the day, Robert thanks me for pushing past Sullivan’s bad mood, for being the bad guy, for insisting we go to soccer. He smiles at me, he tells me I really am strong. But, he doesn’t know I was thinking of those Americans who died on 9/11, and that it is this loss that carried us to the game.